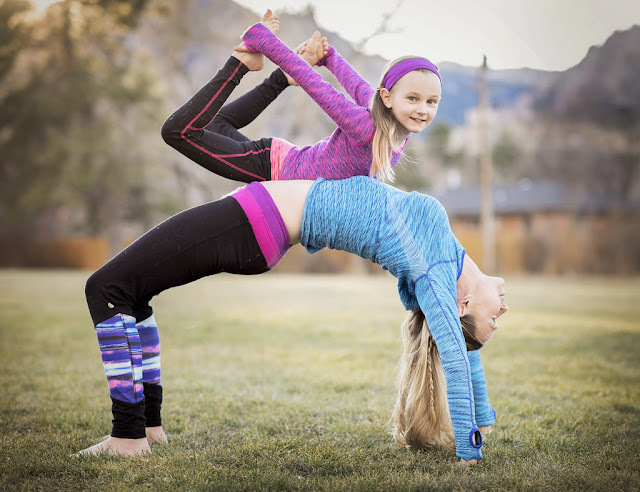 There’s nothing more fun than family fitness together, so this Mother’s Day celebrate fitness and empowerment with matching mommy and me activewear by Jill Yoga. Spend extra mommy-and-me time in the vibrant, bold colors and styles of Jill Yoga while stretching outdoors, playing in park, or warming up with yoga together. Sizes start at six months old! Adorable and affordable, Jill Yoga let girls and moms feel fit, active and confident in comfortable, trendy designs that feel good outside and in. Made from the highest quality of activewear textiles that conform and stretch with every movement, Jill Yoga outfits are at an accessible price which makes sweating in style easier on the family budget. Jill Yoga's mission is to promote confidence and healthy active living — Be Active, Be Bold, Be You. No matter what their own unique shape, girls and women will feel comfortable and confident with Jill Yoga activewear, making it a wardrobe staple everyday and everywhere. Jill Yoga active wear is the latest line from power parent company Ranka Group that already includes celebrated brands Little Tikes, Happy Foot by Mcgregor, Jack and Jill Kids and Winterproof, a line of winter accessories sold at JC Penney and The Bay. Ranka is an international clothing company with experience spanning over 35 years of working with top major retailers across North America. Jill Yoga activewear takes pride in our fashionable, affordable yet durable pieces that last for seasons.